It’s becoming increasingly important to focus your operations around customer service and satisfaction. According to 85% of organizations, the most competitive differentiator is the customer experience. The quality of the products and services that we provide are always going to be important, but things have changed. Many customers base their loyalty not on price or product, but on the quality of service. If you want to deliver excellent CX, you need to meet and exceed the expectations of your customers. Omni-channel service programs can enhance CRM strategies and improve CX to exceed those expectations. We’re all customers, and none of us want poor service. What customers want is great service that is not only fast and accessible, but effortless. A contact center survey conducted by Deloitte found that the two attributes that contribute most towards effortless transactions are accuracy and quality of information provided and ease of interaction. 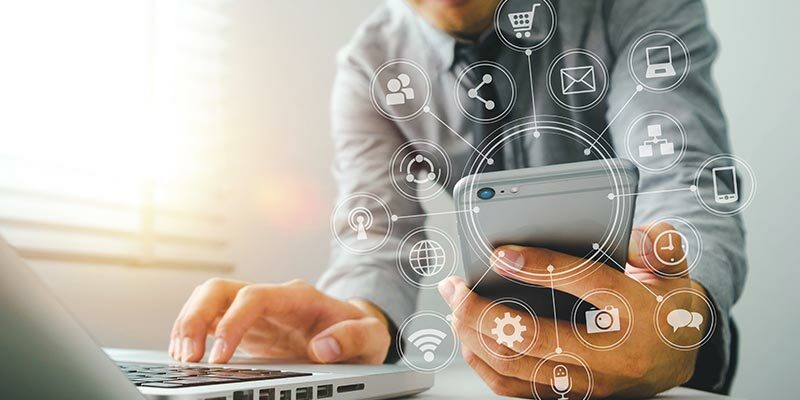 Organizations which provide omni-channel service recognize the customers might need help anytime, anywhere, and on whatever device or channel available to them. Providing multiple channels of customer service allows customers to choose the option that best firsts their needs and preferences. It’s important that you are providing service channels that your customers use. The more channels you provide, the more options they have. Omni-channel Service isn’t just multiple channels. Providing consistent service is a must. Many organizations provide multiple channels of communication but have siloed data for each channel. Without a formal omni-channel service program, there is the risk of inconsistent interactions across multiple channels. That inconsistency can confuse or frustrate customers and require them to repeat themselves. It can also reduce the productivity of staff due to inefficient and unorganized interactions across various channels. An Omni-channel service approach simplifies the customer experience. Omni-channel service integrates multiple channels of communication to provide service representatives with a holistic view of a customer’s interactions with the company. This allows for the service rep to provide the customer with a seamless and consistent experience across all channels of communication. Adapt at the pace of the customer. Expand your channels. How are you and your customers communicating? Mail? E-mail? Phone? Live chat? Those are four of the common channels, but about half of all companies use at least seven different channels in their CX channel mix. Self-service options, mobile channels (SMS text messages, mobile web, mobile apps) and social media are all relatively new channels that are continuing to grow. Each of these channels should be considered as they can provide a unique type of service to customers. Including these channels in your omni-channel service program works to promote consistent communication. – Andy Haas, Customer Operations Leader, Deloitte Consulting LLP. Customers are increasingly demanding that companies can provide them with service that is quick, efficient, and accurate. Even so, self-service channels are becoming more popular as many customers opt to look for solutions to simple issues on their own. Comprehensive FAQ pages and chatbots are becoming common tools to assist customers. Virtual assistants and chatbots are rapidly maturing, and they will be able to handle even more complex customer interactions as they continue to improve. For now, they make a good first point of contact to help customers resolve simple issues. Companies should still make sure to have agent-assisted channels to help address the more complex issues. SMS Text messages are often used as a one-way channel for organizations to communicate with their customers and provide updates for various tasks. It’s a quick and convenient method of communication that can reduce the need for calling and waiting in a service queue to check the status of an order. It can also provide cost savings to organizations as it can be cheaper to support SMS than a phone line. Social media has grown and evolved, making it easier than ever for people to share their opinions (along with pictures of their lunch). Social media plays an important part in CX as a way for customers to engage with organizations they are interested in. Responding to customer comments on social media can help make the customer feel that their opinions are understood and can further increase their loyalty and engagement. The real advantage of social media for organizations is that it is a fantastic channel to gather customer feedback. This December, Microsoft is releasing a public preview of the new Omni-Channel Engagement Hub. This cloud-based service will enable companies to instantly connect with customers through live chat and SMS. The Omni-Channel Engagement Hub provides a unified interface for agents to better engage with contacts across multiple channels. Microsoft’s Omni-Channel Engagement Hub extends the power of Dynamics 365 for Customer Service to create a consistent, unified experience for customers. For more information about how Sopris and Dynamics 365 can improve your customer service, E-mail us today. Why would a Roofing Contractor care about the Microsoft cloud?